Bricks4Kidz® is a creative learning enterprise that provides an extraordinary atmosphere for S.T.E.M. EDUCATION through the use of LEGO® bricks. There are many educational, developmental and social benefits in our approach to learning. These lessons are hidden in fun activities with options for every age level. It is well known that students of all ages will retain more of what they learn when lessons are delivered in the context of something that interests them. This unparalleled program incorporates one of the best-selling toys of all time, LEGO bricks, with interesting and dynamic models for students to enjoy. Children will be exposed to important Science, Technology, Engineering, and Mathematical concepts while helping them develop the foundation necessary to succeed in life. Bricks4Kidz®, will benefit and help children develop in many ways including: Fine Motor Skills Social Interaction Sequencing & Organization Teamwork and Cooperation Intrapersonal and Interpersonal Skills Problem Solving & Reasoning Through after-school programs, pre-school classes, in-school field trips and camps, students will experience hands-on engineering fundamentals as they build motorized models. We provide a curriculum that introduces children to engineering, architecture and scientific principles. The more advanced student can sign up for Jr. Robotics. 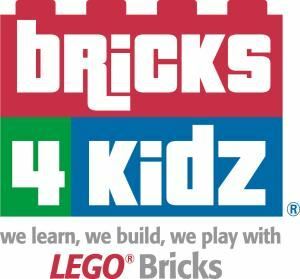 At Bricks4Kidz®, we teach kids in a way that can’t be taught with a book and chalkboard. Deluxe Party Package offers: • The package is available for 1.5 hours. • Bricks 4 Kidz Party Host • Free play with our giant tub of LEGO bricks • Mini Figure Factory station • Model build station • Spin Art station • Paper Crinkler station • Games station (time permitting) • Birthday child receives a Bricks 4 Kidz t-shirt • Invitations and envelopes for you to invite guests Please visit our website for more details. Premiere Party Package offers: • The package is available for 2 hours. • Bricks 4 Kidz Party Host • Free play with our giant tub of LEGO bricks • Mini Figure Factory station • Model build station • Spin Art station • Paper Crinkler station • Games station (time permitting) • Birthday child receives a Bricks 4 Kidz t-shirt • Invitations and envelopes for you to invite guests. Please visit our website for more details. The Workz Party Package offers: • The package is available for 2 hours. • Bricks 4 Kidz Party Host • Free play with our giant tub of LEGO bricks • Mini Figure Factory station • Model build station • Spin Art station • Paper Crinkler station • Games station (time permitting) • Birthday child receives a Bricks 4 Kidz t-shirt • Invitations and envelopes for you to invite guests. • Pizza and Juice • Extra child $8.00 Please visit our website for more details.